It’s very common for people affected by a chronic sinus infection to be so uncomfortable and distracted by its symptoms, that it significantly degrades their quality of life. When a flare-up of sinusitis occurs, you can usually expect to be so congested that you can’t breathe through your nose, that you will feel pain and pressure all around your face which makes it painful to even be touched, and as often as not, you’ll have a splitting headache to go along with it all. Even worse, when you finally get to experience a day or so of relief, it’s usually not long afterward that all those symptoms come flooding back to haunt you all over again. This cycle is often repeated for weeks and sometimes even months. Fortunately for people suffering from chronic sinusitis, some important discoveries have been made, and there is a terrific new treatment which has a very high success rate in managing chronic sinusitis. But first, let’s talk a little bit about what chronic sinusitis really is, and how treatments were handled in the past. This condition occurs when nasal passages become swollen and inflamed for some reason, and since they don’t respond very well to treatment, the condition persists over an extended period of time. Because of all the swelling, mucus cannot properly drain out, and this leads to congestion and breathing problems, usually coupled with the sinus pain and headaches as well. Sometimes a chronic sinus infection is confused with the tandem of acute sinusitis and allergies, but this can be differentiated by a skilled doctor who has been trained to study the ear, nose, and throat. When chronic sinusitis is treated effectively, it can reduce that inflammation and allow the nasal passages to drain once again, and to be really effective, it should also significantly reduce the number of episodes experienced by someone bothered by the disease. In the past, several approaches were used to manage and control a chronic sinus infection. Almost always, the first step taken would be to use a nasal corticosteroid spray, since these are generally well-suited to prevent and reduce inflammation wherever it occurs. However, if a person’s sinuses are already infected, the sprays will have no impact at all, and the symptoms will continue unabated. The next form of treatment is generally immunotherapy, which in this case means receiving allergy shots. This, of course, is only effective if allergies are actually contributing to the symptoms experienced by a person. When allergies are a contributing factor, the shots administered will theoretically help to lessen the body’s reaction to any specific sinus condition, so inflammation will be reduced. Treatment for a chronic sinus infection has commonly involved invasive surgery to remove diseased tissue, however balloon sinuplasty represents a non-invasive outpatient alternative. If neither of the above approaches achieves any significant degree of success, a logical next step would have been sinus surgery. Many patients, however, have been unwilling to agree to this approach after learning what was involved. There are typically several incisions necessary around the eyes, lips, and head area, so that infected tissue can be removed, and bone can be scraped to widen passageways which have narrowed. This process typically required a week of hospitalization, and it was followed by a relatively long period of recovery, although results were generally acceptable. A far better option is now available since the FDA approved balloon sinuplasty in 2005 as a treatment alternative for chronic sinusitis. During this procedure, a small balloon is inserted via a very thin wire into the nasal cavity and is inflated once it reaches the affected sinus. When the balloon is removed, the passageway will have been widened, and diseased tissue will freely discharge. This process is repeated for each sinus which requires treatment, but in total the procedure generally lasts no more than half an hour. There’s not just a time difference involved with this approach, because it’s so simple that it can be performed on an outpatient basis right in the doctor’s office. The results are uniformly positive, with many patients feeling significant relief from symptoms, even as they sit there in a chair during the procedure. Even better, there’s no long recovery period required, because there have been no surgical incisions or bone scraping involved. People who go through this process are typically back to normal within a day or two, with virtually no ill effects sustained. People who suffer from chronic sinusitis generally experience only a minor level of relief through medication. Immunotherapy is likewise only partially effective, and that’s only if some of the symptoms are triggered by allergies. Traditional surgery can achieve positive results, but it’s a very intense surgical procedure, and it’s routinely accompanied by a long recovery period, which is fairly uncomfortable for the patient. Balloon sinuplasty overthrows all these long-standing limitations in one fell swoop. In the first place, it’s extremely effective, with almost all patients being significantly improved. Far from being a complicated surgical procedure, it’s extremely simple and can be carried out with only local anesthesia, in a half hour or so. 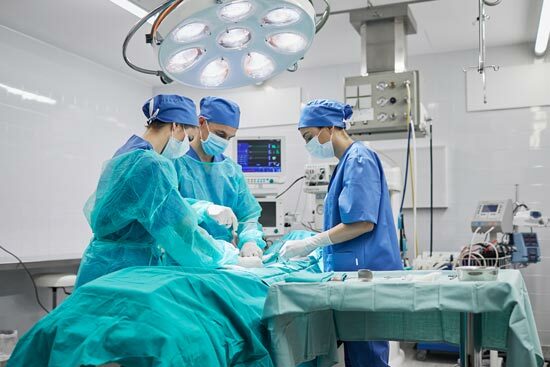 When it comes to recovering from the procedure, most patients are able to drive themselves home afterward and feel only slight discomfort for a day or two. All this being so, it’s easy to see why balloon sinuplasty has completely revolutionized the approach for treating a chronic sinus infection.